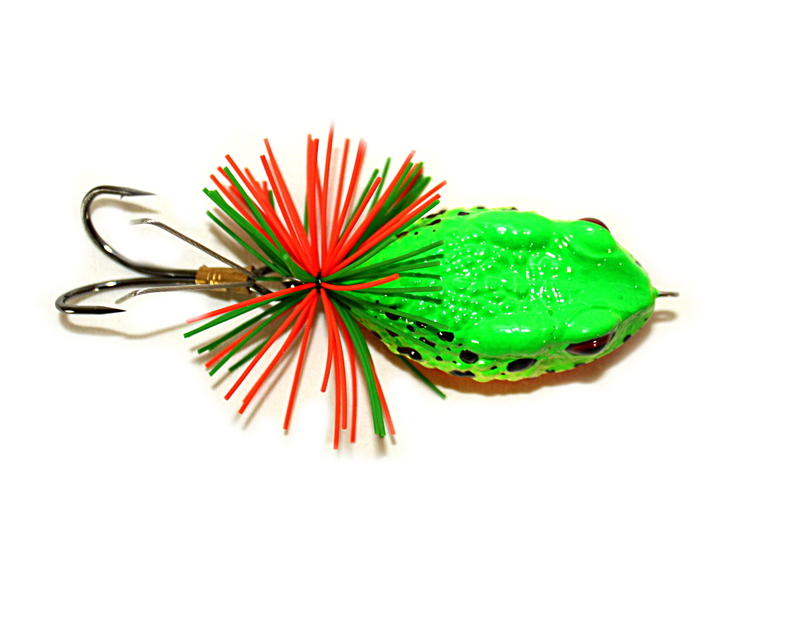 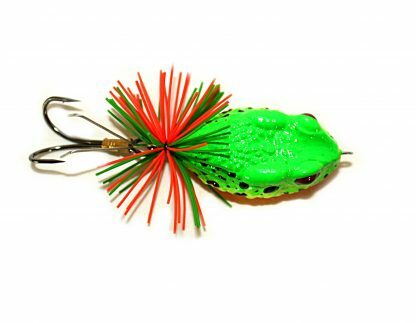 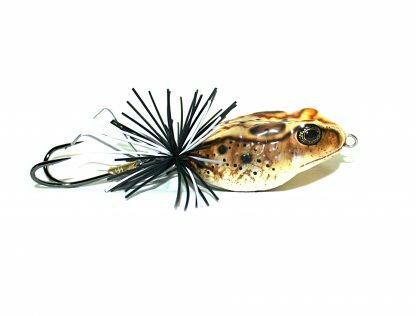 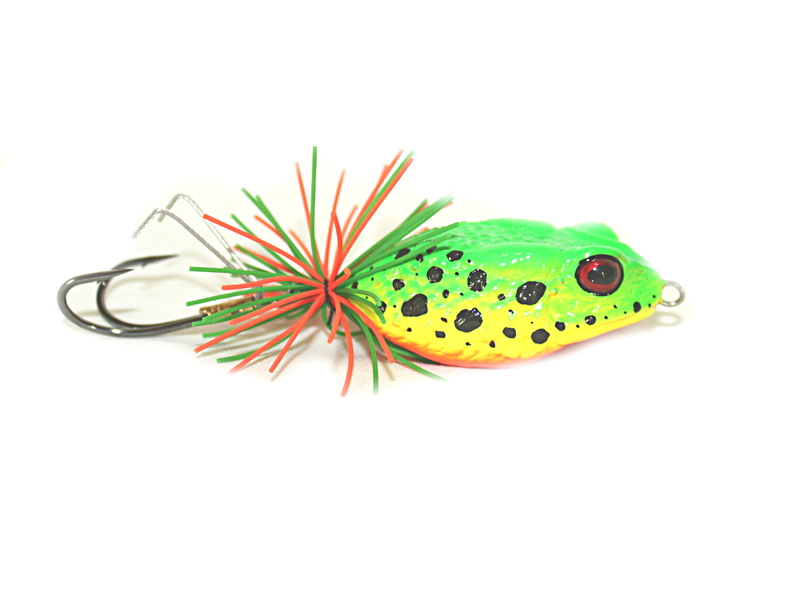 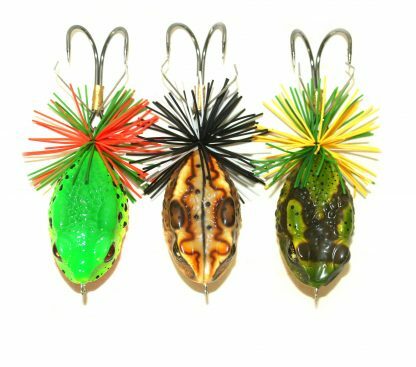 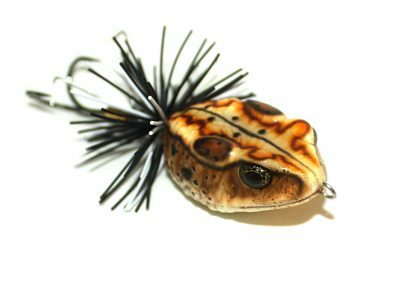 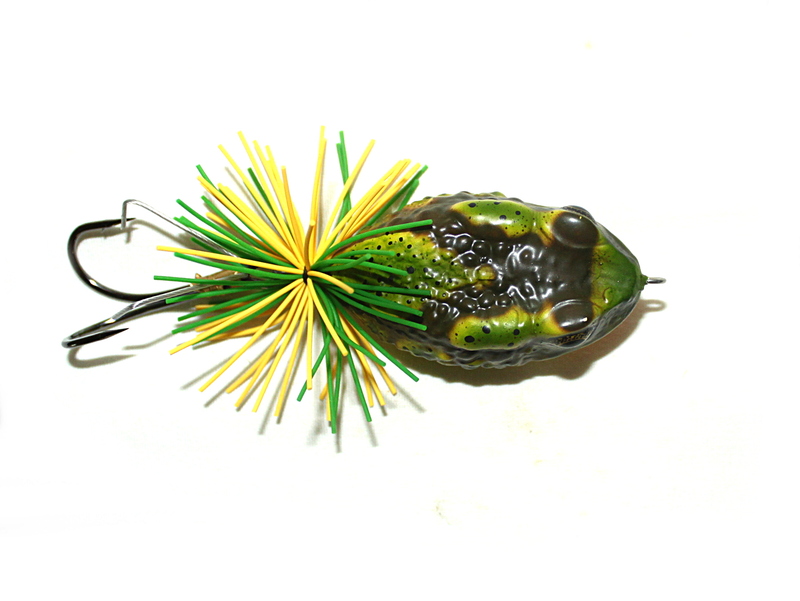 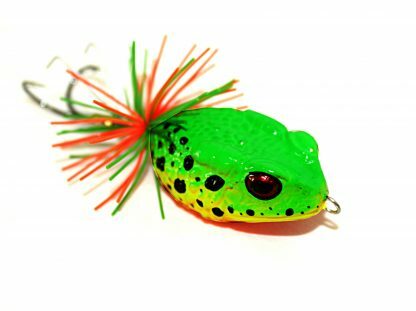 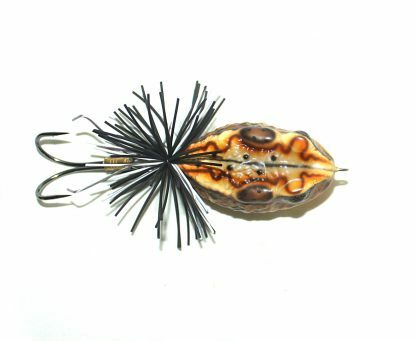 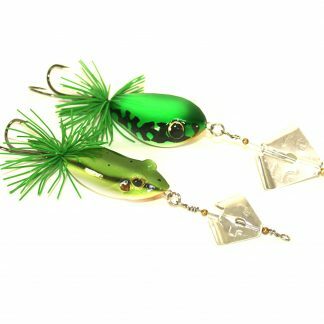 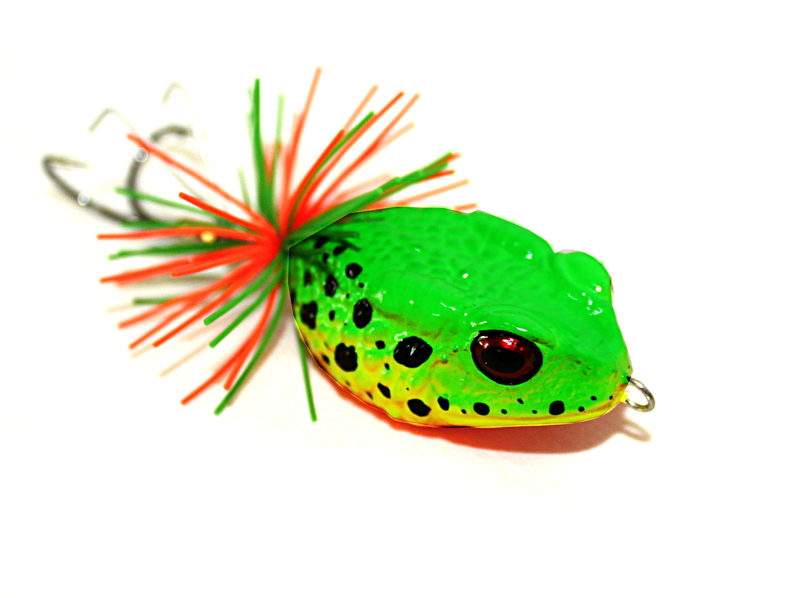 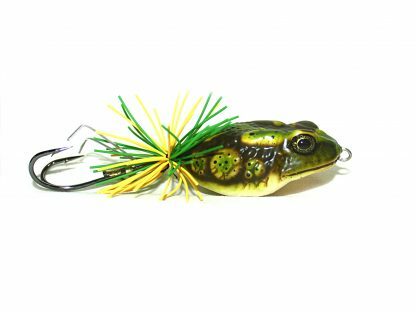 Original Toxic Toad from Killer Frog Lures. 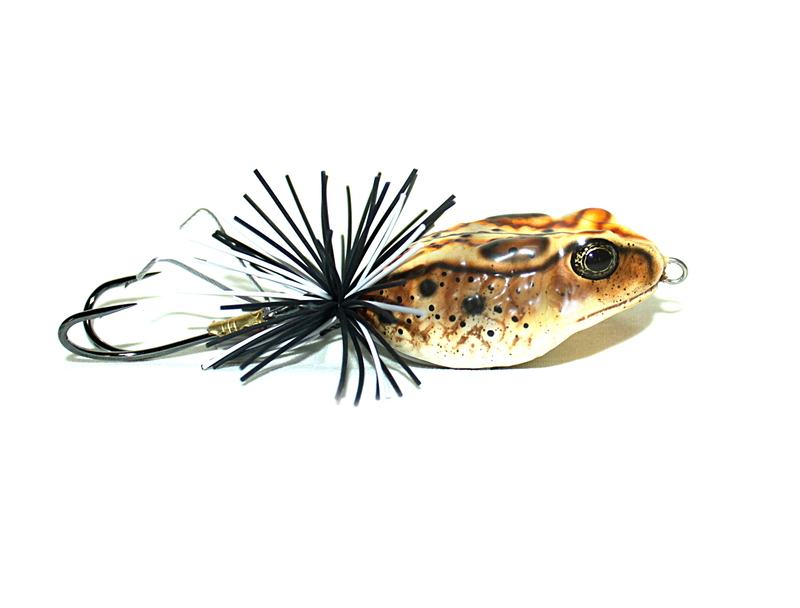 1 x FIRE TIGER Toxic Toad 13.5g 5cm. 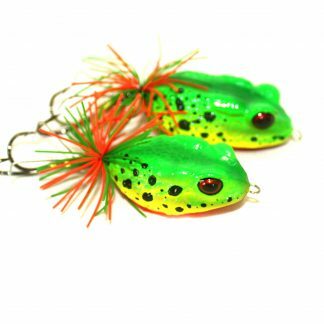 1 x GREEN SLUDGE Toxic Toad 13.5g 5cm. 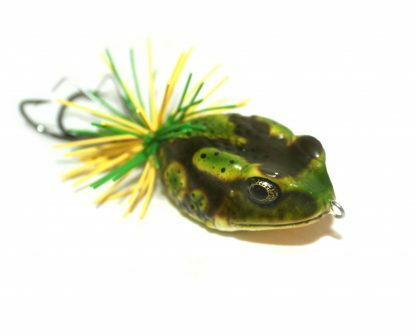 1 x BROWN STRIPE Toxic Toad 13.5g 5cm. 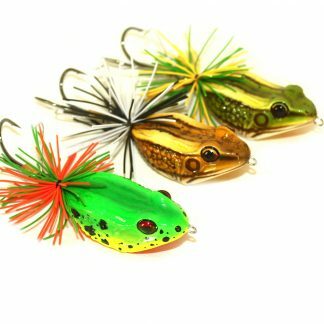 Floating and Rattling. 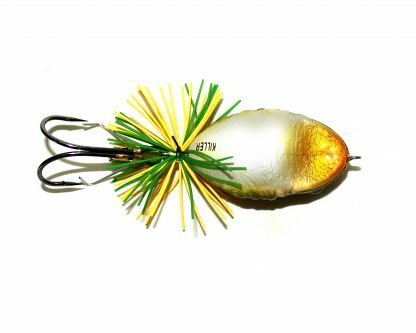 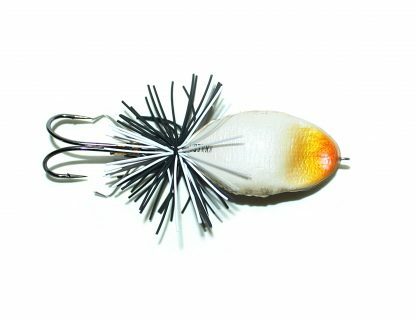 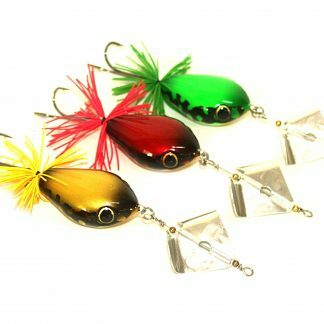 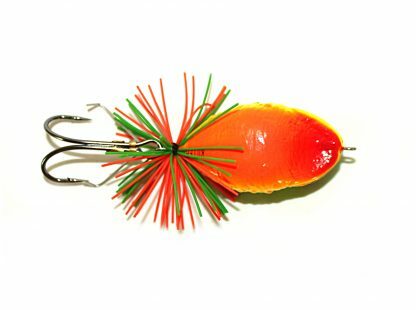 Individually hand painted and finished, comes with weedless double hooks, rubber skirt tails. 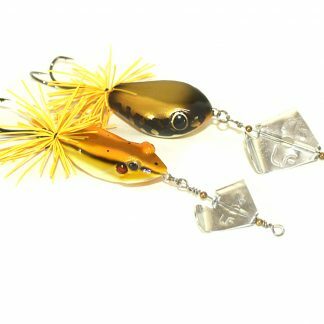 Great to use as a buzz bait over weedbeds or tree trunks for exciting topwater takes from lurking lunkers.